Over 40 million Indians are chronically infected with Hepatitis B. People can live without symptoms for years and realize later that they have an infection. 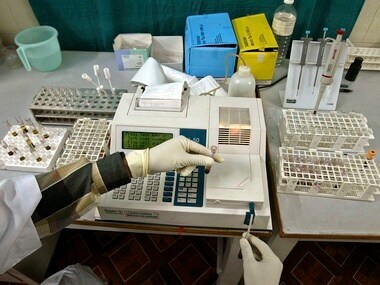 For the study, blood samples from 1-5-year old children from five states - Delhi, Rajasthan, Uttar Pradesh, Uttarakhand and Gujarat - were collected to measure antigen and antibodies of Hepatitis B virus. Among these, 880 children were completely immunized and were given a birth dose of hepatitis B vaccine, 686 were completely immunized but were not given a birth dose of hepatitis B vaccine and 844 were unvaccinated. It was found that children who were given complete vaccination (with or without birth-dose of hepatitis B vaccine) had a similar level of protection against infection. This means birth dose may not be necessary for full immunization to this virus. “We found birth dose was not needed as infection rates were the same regardless of birth dose. However, if the mother is a hepatitis B carrier especially if she is e-antigen positive, the baby must be vaccinated at birth”, Dr. Jacob Puliyel, the study's primary author and a pediatrician at St. Stephens Hospital in Delhi, told India Science Wire.